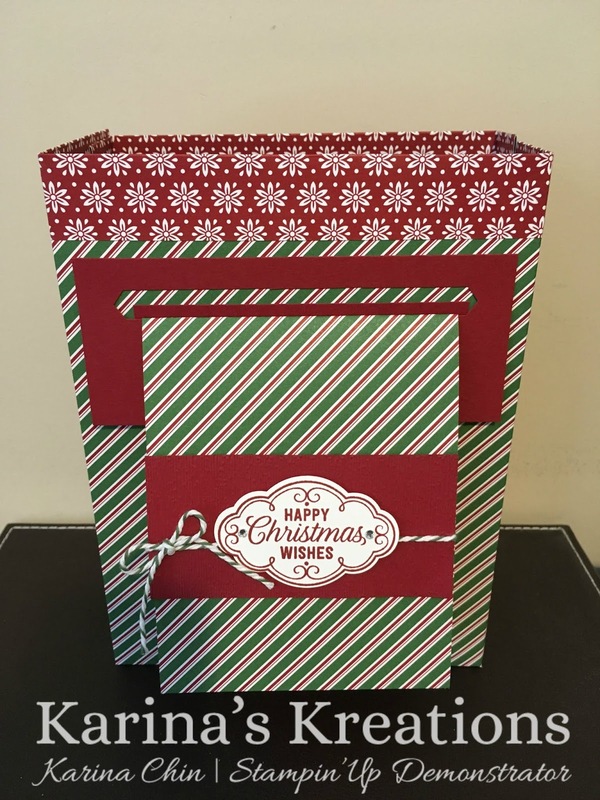 Create your own gift packaging with Stampin'Up Designer Series Paper. All you need is 2 pieces of Designer Series Paper and a little but of cardstock to make this project. To make the bag, you need one piece of designer paper 12x12 scored at 3" on three sides and 1" on the other. The second piece of designer paper is 8" x12" scored at 1" on three sides and 3" on the final side. The card is 4" x 10-1/2" Designer paper scored at 5-1/4" attached to a card base of 4-1/4' x 5-1/2". The holder piece is 2-1/4" x 5-1/2' punched out with the Classic Label Punch.